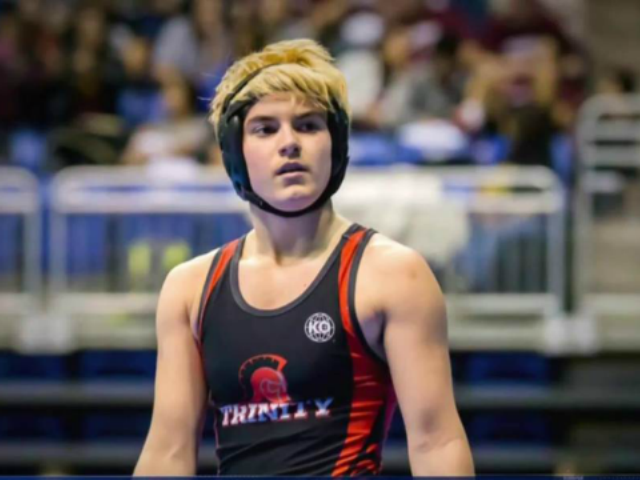 A transgender high school wrestler was booed, after he beat a female competitor to advance to the state championships on Saturday. Wrestler Mack Beggs, a Euless Trinity senior from Euless, Texas, was booed after pinning female contestant Kayla Fitts of Cypress Ranch at the UIL state tournament in Cypress, Texas, according to WFAA, an ABC affiliate. Beggs drew criticism last year for joining the female wrestling team when his parents claimed he was beginning the “transition” from female to male, using a testosterone regimen therapy. Opponents sued the school claiming that the testosterone gave the student an unfair advantage against his female opponents. Despite the lawsuit, the transitioning student went on to win last year’s Class 6A girls championship in the 110-pound division. Beggs was able to continue wrestling with girls despite the testosterone treatments in part because in 2016 the state’s governing body, the University Interscholastic League (UIL), had ruled that students had to compete in the gender class that appears on their birth certificates. The UIL also noted that the student’s testosterone treatment doesn’t fall under banned substances because a doctor prescribed the drug. Last year, Beggs’ parents claimed that their “son” was an “inspiration” to others. “He inspires a lot of people, and if he can help just one person — then it’s worth it to Mack,” said the student’s father, Marco Karem. Still, other parents at the school say that despite everyone’s support for Beggs’ “transitioning,” he shouldn’t be allowed to compete in a contest of strength among other girls.